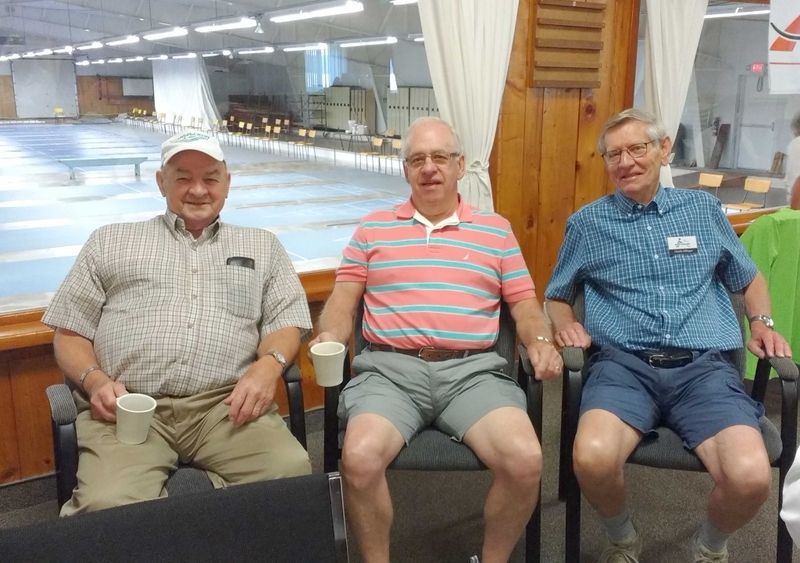 Taking it easy for a change, are (left to right) Charlie Bryan, Ray Bernier, Charlie Killinger, who were always available to bead the courts for us when we asked, and setup all the courts and cleaned up each evening. A BIG job well done! Thank you so much Charlie, Ray and Charlie!